In Nia, we view the core of the body as the whole of three body weights: the pelvis, chest and head. When correctly aligned, these weights allow us to move energy along and through our vertical axis, so we can move with intrinsic balance, core power, spinal flexibility and greater relaxation. When misaligned, these weights can throw us off center, affecting not just our balance but our whole body functioning, including our bones, organs, ligaments, muscles, veins, arteries and chakras (energy centers). New students often come to class and say they are afraid they can do Nia because they are uncoordinated and have two left feet. Whenever I hear that, I say, “Great. Don’t even move your feet. Just move your spine.” This recommendation is based on something I learned from my friend, Helen, in an unexpected way. Years ago, I invited my mentor and Nia Trainer, Helen Terry to lead a Nia White Belt training in Charlottesville. I loved hanging out with her and the trainees all week, sitting in on all the sessions and getting a bit of a trainer’s view of the 7-day intensive. Helen explained that moving the three body weights – pelvis, chest and especially the head – creates integrated strength and stability in the core body. To demonstrate, she invited trainees to stand behind me and put their hands on my belly. Then, Helen said, “Susan, do some head and eye movement.” As soon as I started moving, the trainee jumped back a little and said, “Whoa!” She said she could feel my whole core spring to life as soon as my head moved! These days, I really get it. Most people walk around with their spines (relatively) upright and their head perched on top like a marshmallow on a toothpick. 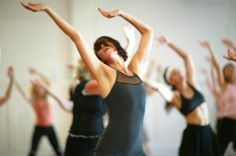 When a mover engages her core and increases her range of movement particularly in her waist and neck, she generates enormous power, flexibility, agility, mobility and stability. Even a little core movement translates into more integrated, fluid movement in her extremities. See what happens when you initiate movement from your core – especially at your waist and neck. When you do you may see why I say, when in doubt, just move your spine. * Footnote to Laura DeVault who coined the “Yes Girl” phrase and phenomenon.